MAH MCA CET 2019 Application Form last date has been extended till 28th February 2019. 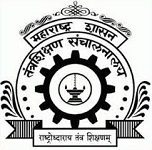 Maharashtra MCA CET is conducted every year by the Government of Maharashtra State Common Entrance Test Cell, Maharashtra, Mumbai. It offers admission to the candidates those seeking for admission in the first year and second year of three year full time MCA course. The admission will be offered in unaided professional institutions of the state. In this article, candidates will get the complete information of MAH MCA CET application form 2019. MAH MCA CET 2019 Application Form last date has been extended till 28th February 2019. Click here for application form. Candidates are advised to fill the MAH MCA CET 2019 application form through online mode only. Fill all the details as per the instruction given in the information bulletin. The registration has been started from 15th January 2019. Candidates also have to submit the application fee along with the application form. The editing in application form will be provided only till the last date of filling application form. Candidates have to fill all the details carefully. There is no need to attach any document/ certificate along with the application form. Candidates have to upload the scanned photograph and signature in the prescribed format. Take the printout of the application form and keep it till the admission procedure. The application fee can be submitted through online system only. Candidates can use credit card/debit card/internet banking/IMPS/Cash cards/Mobile wallet. The application fee is non-refundable. Check the eligibility criteria given below to fill the MAH MCA CET application form. Qualifying Exam: One should have minimum 3 years of bachelor degree in any stream from a recognized university. Subject: Candidate must have the mathematics at 10+2 or at graduate level. Minimum Marks: Should obtain minimum of 50% marks for general and 45% marks for PwD and OBC category of Maharashtra State. Lateral Entry (LE): For lateral entry, one should have passed the bachelor’s degree in computer science/computer applications/information technology. As per the dates given below, candidates can perform the activities related to the application form. Here, we have given the steps to how to fill the MAH MCA CET application form. Navigate the official website (link is given above). For registration click on ‘Click here for new registration’ tab. Enter Name, Contact details and Email-id and a provisional ‘Registration Number’ and ‘Password’ will be generated. An Email & SMS indicating the provisional registration number and password will also be sent to the candidate’s registered email ID and mobile number. Candidate can choose “Save and Next” tab to fill the form in next sitting. Fill all details asked in the application form carefully. Validate your details and save your application by clicking the ‘Validate your details‘ and ‘Save & Next‘ button. Proceed to upload Photo & Signature as per the specifications given. Click on ‘Preview’ to preview and verify the application form before ‘Final Submit’. Click on ‘Payment‘ tab and pay the fee and then click on ‘Submit‘ button. After successful completion of the transaction, an e-Receipt will be generated. Candidates should take the printout of the e-Receipt and online application form. If you have any other queries about MAH MCA CET 2019 Application Form, you can write your queries in the comment box given below. Link to apply is given in our article. sir I belongs to Uttar pradesh and from general category so which social category do I choose in application form. Not for distance learning program. Sir M from Delhi And i Want To do MCA Lateral Entry From Mumbai So which college in mumbai is offered Mca Lateral Entry ?